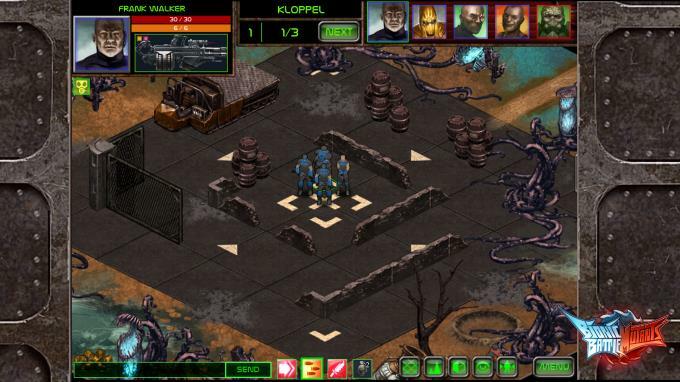 Bionic Battle Mutants is an indie old school turnbased tactical game. Where you can build your own team of cyberneticly enhanced super mutants. Fighting your way through the Deathzone of the outlaw planet Cerberus 7. Cyborgs, mutants and pin-up girls! 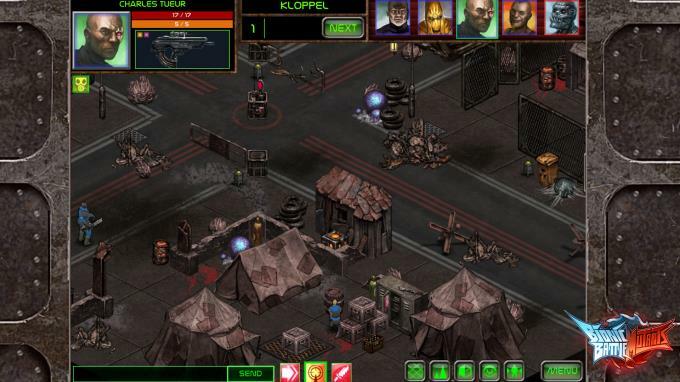 Bionic Battle Mutants is an old-school styled turn-based tactical battle game. Lead a team of imprisoned space-criminals to fight for their lives as modern gladiators on prison planet Cerberus 7! 100% Indie from enthusiasts for enthusiasts! Fine tuned tactical gameplay and hand-drawn artwork in the spirit of Jagged Alliance, Fallout Tactics and U.F.O. 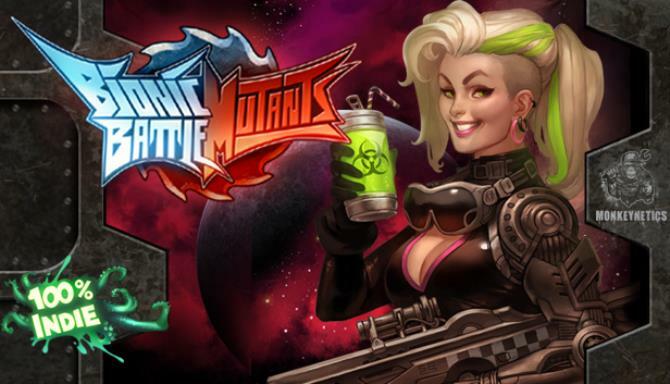 Featuring highly customizable characters, an elaborated crafting system and the atmosphere of 80s and 90s popculture, it offers a radioactive gaming experience. Prepare your team in the hideout for deadly mutliplayer matches: Choose from a plentora of fighters and improve them with self-crafted weapons and armors, bionic limbs or performance-enhancing drugs. With genetic mutations, you can enhance your fighters even further to be feared close combat grappler, snipers or allrounders to die in the post-apocalyptical prison of the Intergalactic Cable Network! On the detailed, hand-drawn battlefields, you’ll have to choose the position of your team and use coverage wisely, then show what you got with your arsenal of modified weapons and grenades. There are three ways to win a match: Eliminate your opponent’s team, collect more loot than them or destroy their beam station to dispel the enemy team to the deserts of Cerberus 7. You’ll need the right strategy and balance of firepower, close combat and swiftness to get to your goal. Watch out! This game enforces straight confrontation without compromise. Only the best will survive on Cerberus 7! Additional Notes: Might be lower (not tested). Gold maps (which are bigger) might run slow, though. Additional Notes: Runs pretty good.